Don’t let the name fool you, RADIUS, or Remote Authentication Dial-In User Service is more widely used today than ever before. 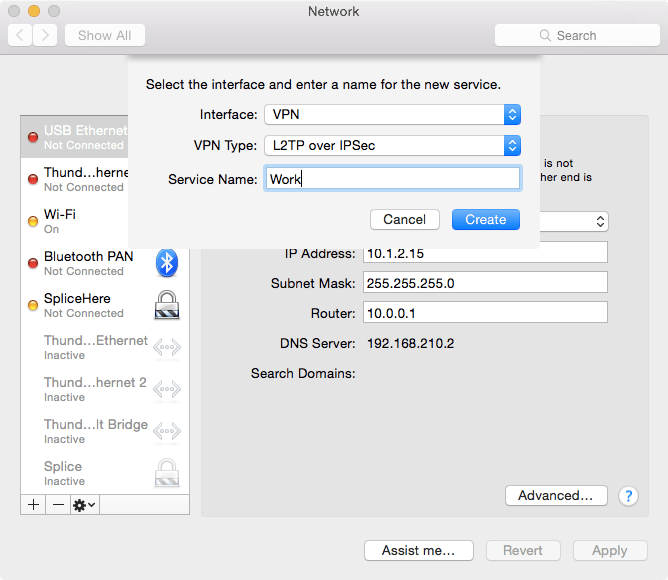 This protocol enables remote access to servers and networks and is frequently a fundamental building block of VPNs, wireless networks and other high-security services that have nothing to do with dialup bulletin boards from the 80s. 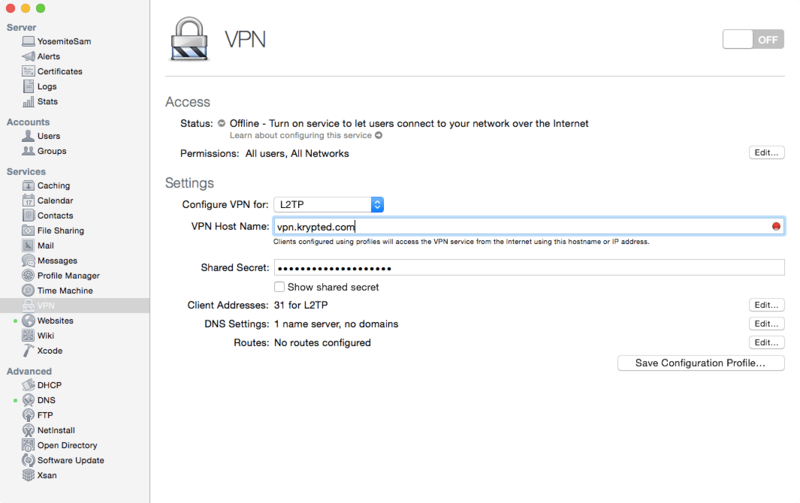 I’ve run RADIUS services on Mac servers for years. 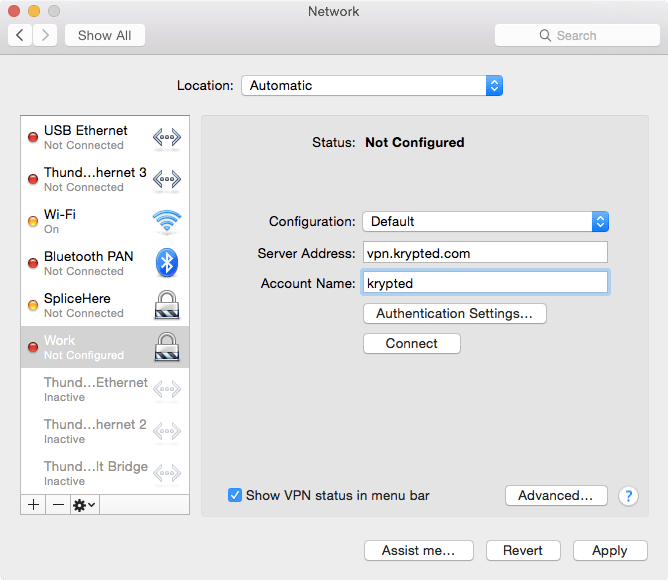 But as that code starts to become stale and no longer supported, let’s look at running a basic RADIUS service on a network appliance, such as a Synology. 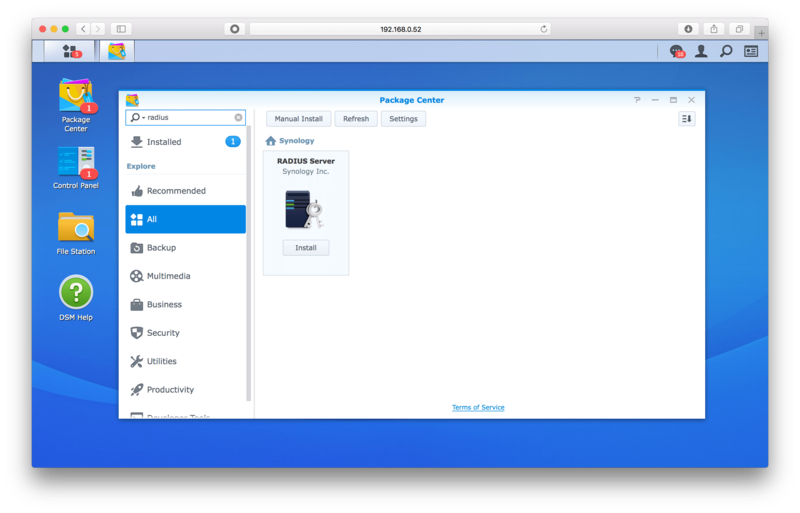 To get started, open Package Manager, click All in the sidebar and then search for RADIUS. 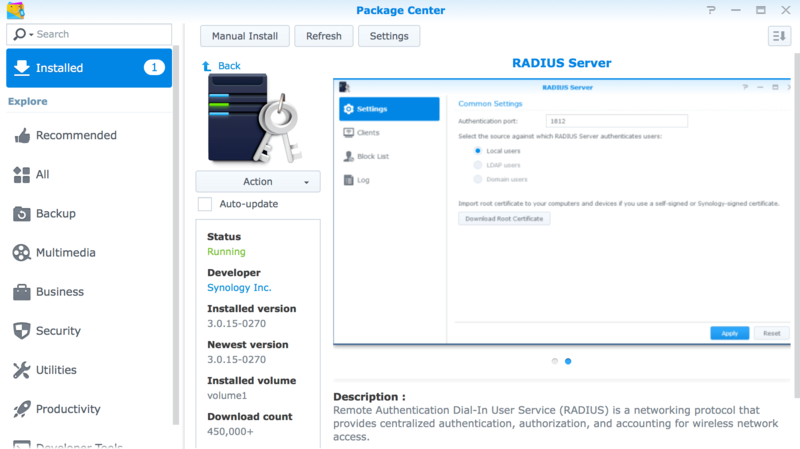 Click Install for the RADIUS service. 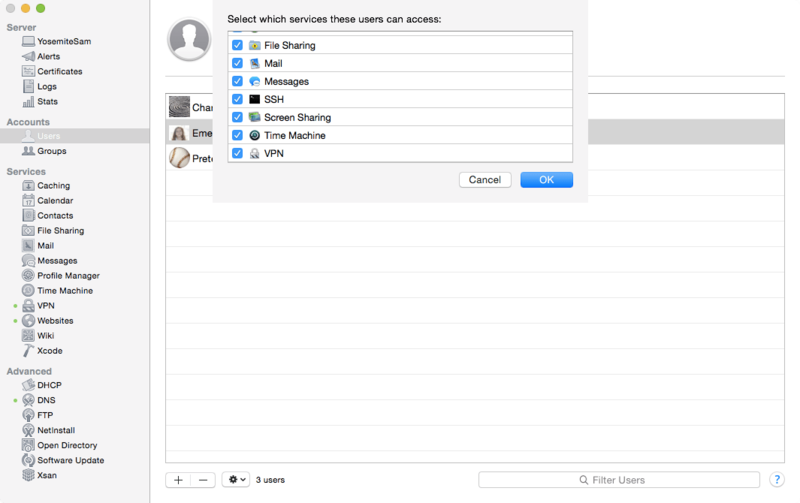 Once installed, open RADIUS Server from the application menu in the upper left hand corner of the screen. The options aren’t like raccoon. 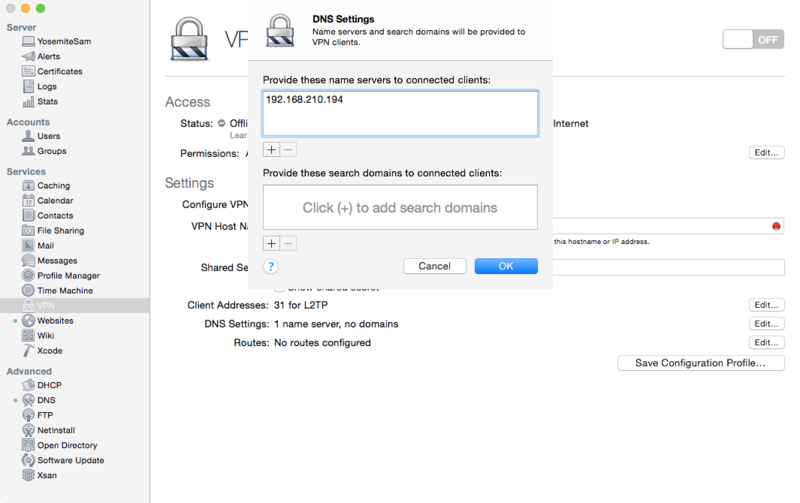 You can select a port, choose a directory service (which covers the authentication and a bit of the authorization portions of RADIUS. 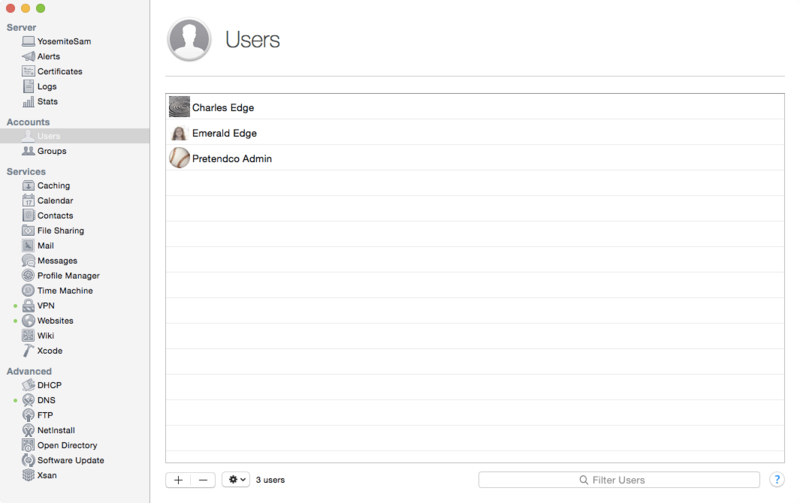 Click Clients and then Add. 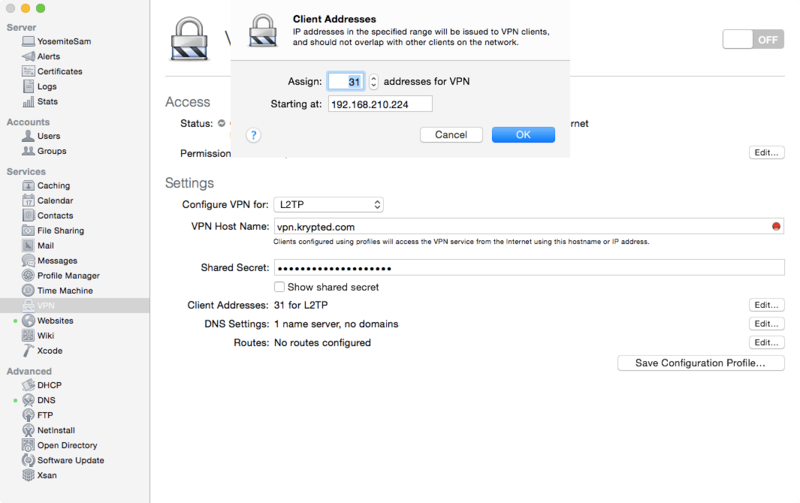 Here you can configure a shared secret for a client, and allow for the source IP and netmask. 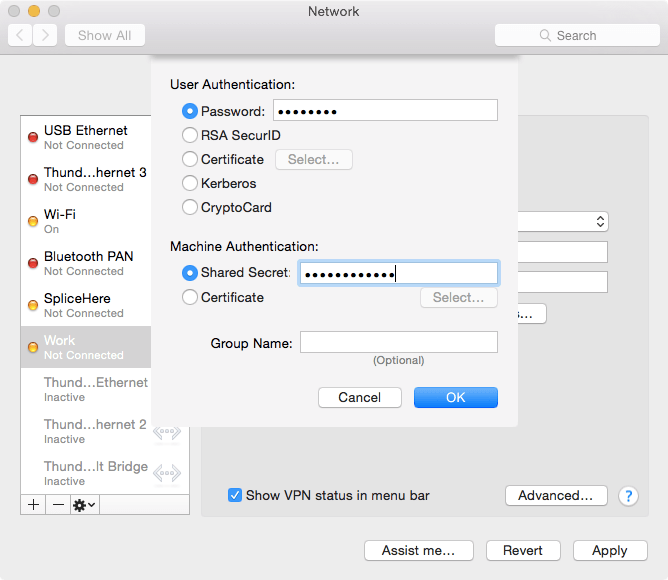 To grab your certificate for deployment to clients, open the Control Panel, then Security, then Certificate and export the .p12. 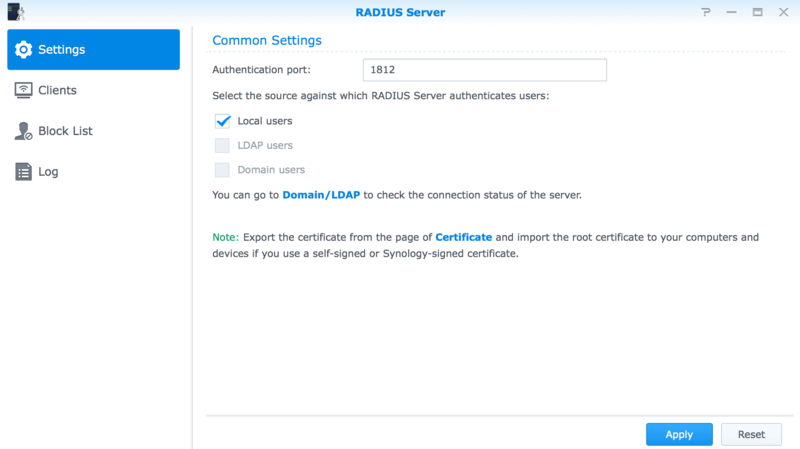 If you’re using this RADIUS service to enable other services for Macs, you’ll likely then want to distribute that certificate in a profile. 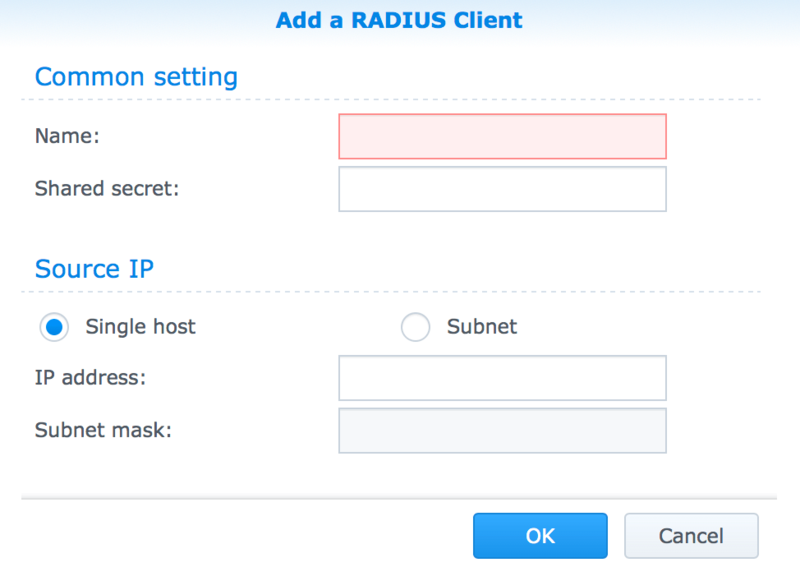 We’ll cover how to leverage RADIUS for other services in other articles.